Oregon has 228 family dairy farms, ranging from fewer than 100 cows being milked each day to more than 30,000. Regardless of the size of the farm, there are certain values, standards and management practices that every Oregon dairy farmer has in common. They are good stewards of the air, land and water. No matter how many cows they milk, farmers care for their land and their natural resources. It’s important to them to do the right thing and be good neighbors and members of the community and they take the initiative to do so by voluntarily implementing best management practices on their own. Their cows are well cared for. Dairy farmers’ commitment to providing high quality milk begins with taking good care of their cows. On farms of all sizes, farmers work with nutritionists and veterinarians to provide a nutritious diet, great medical care and healthy living conditions. Cow comfort is key to a farmer’s livelihood. They follow the rules. Large farms must meet state and federal standards, and they face the same kinds of regulations and oversight as smaller farms. They have regular inspections of their operations to check for and ensure compliance.Dairy is one of the most regulated industries in the U.S.
Sustainability is not just a buzzword. Farmers are innovating and working toward a sustainable future. They are increasingly working smarter with robotics, automated feeders, methane digesters, precision agriculture, solar panels and beneficial use of waste to increase efficiency and reduce impacts. Large scale farms allow optimal use of scarce resources such as water, energy and land. Food safety starts at the farm. Milk is one of the most tested and regulated food products, and all farmers employ rigorous standards, practices and procedures to ensure that it is kept pure, cold and safe. Farmers are held personally responsible for the quality of the milk that comes from their farms. Oregon dairies are family owned. Even the largest Oregon dairies are family owned. Dairy farmers take great pride in their work, and they want to continue working on the same land so they can continue providing the nutritious food that we enjoy and depend on. It is their legacy. They coexist alongside smaller farms. Large farms support smaller farmers and vice versa. Not all farms produce milk for the same processors or the same dairy products or the same consumer markets. There is room for farms of all sizes and types – organic and conventional – to thrive. I grew up on a small dairy here in Oregon, and now I work for the Oregon Dairy and Nutrition Council. 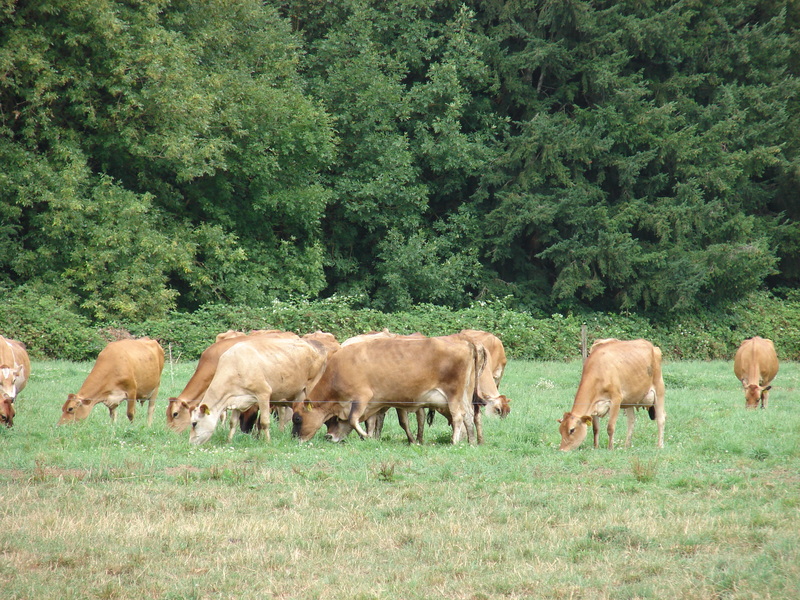 I have personally visited 46 dairies – large, small, organic and conventional – across 15 counties in Oregon. This includes two visits to Threemile Canyon Farms, Oregon’s largest dairy. The farm is an impeccable operation boasting socially responsible and environmentally sound business practices, exceeding industry standards. In a recent third party evaluation, the dairy scored 100% for cow care. The farm has many longtime employees, supports the local community and contributes generously to Farmers Ending Hunger and the Oregon Food Bank. I would encourage you to visit their website to learn more. I am glad to answer your questions or provide additional information about the dairy industry any time. Call me at 971-673-2732 or email me. © 2019 Oregon Women for Agriculture.